Members of the Saccharomyces genus of yeast fungi have a direct impact on the daily lives of society. Whenever a dinner roll is nibbled or a glass of wine sipped these microorganisms are largely responsible. One of Saccharomyces' many species is employed primarily for the fermentation of sugars in the winemaking process, while another is useful for the rising of bread. The genus Saccharomyces is similar to other yeast genera. Its species are unicellular and cylindrical, oval, or spherical in shape. They reproduce asexually through a process of budding, a new cell forming a protrusion on an existing cell, enlarging, and then breaking away. They can also reproduce sexually through the use of spores. In fact, theSaccharomyces genus is distinguished by asci, small internal structures that contain four to eight sexually produced fungal spores. All yeasts flourish in the presence of sugars and obtain food by direct absorption of nutrients. 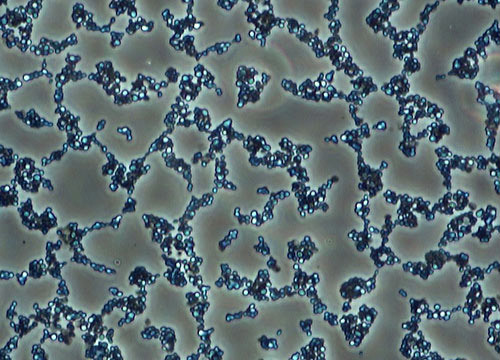 Saccharomyces cerevisae is an exceptionally important yeast. It is the organism commonly referred to as baker's yeast and has played a central role in food production for thousands of years. The yeast has also been an important tool in scientific research. Due to its easy cultivation, short generation time, and manipulability, scientists have accumulated a tremendous amount of detailed genetic and biochemical information about the species. 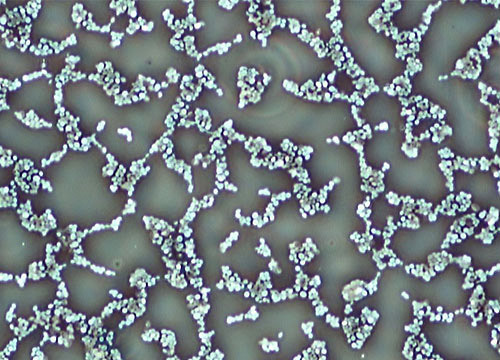 In fact, Saccharomyces cerevisae was the first unicellular eukaryotic organism to have the entire genome sequenced. Scientists hope to use this knowledge to make discoveries about biological processes that are relevant for higher organisms, such as man.